A friend of mine has a fig tree at her disposal and was nice enough to share a couple small bags of ripe figs with me. Growing up in the north figs were not part of our diet, but since moving to the South we have fallen in love with this sweet fig butter recipe. I wanted to try fig preserves but decided on trying fig butter instead. Little did I know finding a fig butter recipe would be so difficult. After hours of searching and a call to my mother, I finally decided if I wanted to make fig butter I would have to create a recipe myself. I spent some time reading fruit butter recipes and finally got tired of searching and shut my laptop and went to work. I’m happy with the results and my daughter even tried to sneak a jar in her pocket after she tried it. Couldn’t get my grandson to try it, but I remember as a kid I didn’t like apple butter so I can appreciate his apprehension. He will learn, as he gets older his taste buds will change and will love fruit butters. 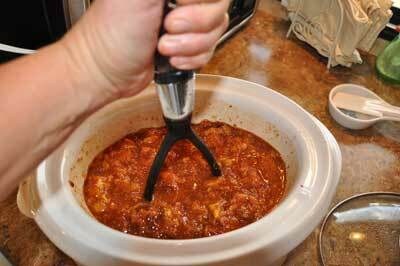 Add everything to a 2 quart crockpot and cook on high for 2 hours. Using a large spoon or potato masher, mash figs until all whole figs are broken down. 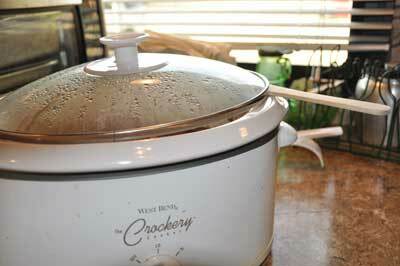 Crack the lid to let the steam escape and turn crockpot down to low and continue to cook for 6 – 8 hours. 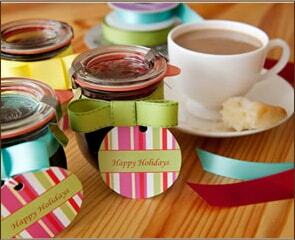 Fill hot jars with butter, add lids (reusable canning lids) and hot water bath them for 10 minutes. 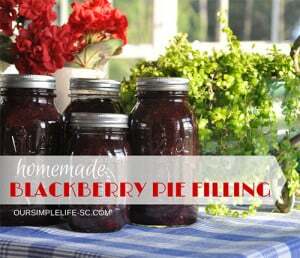 The only problem with this recipe is it only made 4 – 8oz jelly jars of fig butter and it will be long gone before winter even sets in. I’ve tried your recipe & its great!!! 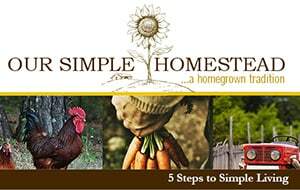 I was curious to know if you’ve had it submitted thru the usda? 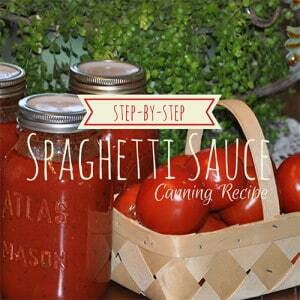 The reason I’m asking is, not to be offensive, but I’m extremely new to canning & really don’t know alot about it. I am planning on giving this to my family as a gift, around christmas. Please let me know sometime soon. I am glad you liked the fig butter. No I have not submitted it to the USDA but as long as you be sure you give it its 10 minute hot water bath and you have a good seal you will be fine. I have been canning for years and this recipe is a typical fruit butter recipe with the ending hot water bath. Enjoy! I apologize for my ignorance. This question came after a friend & I decided to learn how to can, by ourselves. She started memorizing the USDA guidelines & insisted that I ask this question. I felt so ridiculous to ask too. She was freaked out about it after she saw that figs were considered a low acid food & swore that I should throw them out. I disagreed with her & tried to tell her that there was enough acid in the recipe for it to be fine. & we’ve had this debate ever since. Thank u so much for your patience. I really appreciate it. & I’m pleased to tell u that I haven’t thrown out any of it. Lol. The recipe is amazing, by the way, & I’m planning on using it for Brie en croute. Again, I’m so sorry if any of what I said offended u. And thank u, again. Good morning. I completed my first batch of fig butter. It is yummy, however mine has a bitter after bite. Any suggestion to what I may have done wrong??? The only thing I can think of is maybe your figs were not ripe enough? Were they soft or firm when you made the butter? 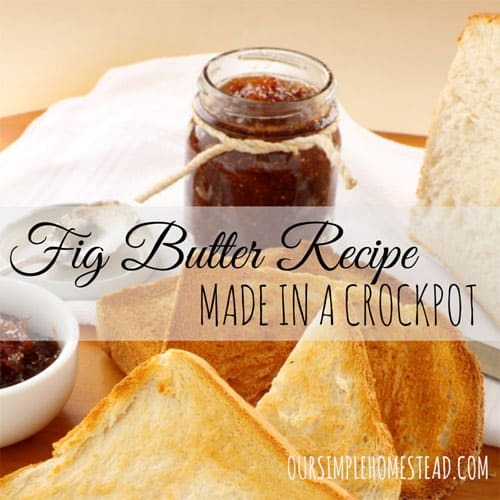 I always have a lot of figs and making jam is very time consuming, since I had made apple butter I have been thinking about making fig butter and looked up that, I will make it but will double the recipe so I can use my larger crock pot. Thank you for putting this recipe out. Eva thanks for stopping by…this recipe is yummy and I make it every year! Hi there! I am sooo excited to try this recipe (I have a back yard fig tree with more figs than I know what to do with!) before I started, I was wondering if there is something I could substitute the wine with? Any ideas? Your recipe looks wonderful and easy! I’ll have to try it once figs are plentiful again. Just wanted to share my amazing find! Brie en croute, using the fig butter!!! Omg!! Heaven!!! Thank u for this spectacular recipe!! Hooray! We have FIVE fig trees in our backyard and I have had no idea what to do with them.I look forward to fighting them birds for them this summer. :o)Question though…how does one give a hot water bath? Can I just set them down in a deep pot with boiling water? I new to this culinary gig. 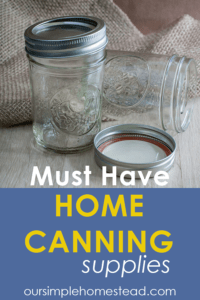 Chara I recommend you find a good canning book…I have the one from Ball. It explains everything you need to know about canning and hot water baths. I would try to explain it to you but the Ball Canning book really does a great job. What’s the title? I am having a hard time finding it. Is the author Ball? It is called: Ball Blue Book – Guide to Home Canning, Freezing & Dehydration. I see it on Amazon and here is the link. I would highly recommend it I have used it as a guide for many years. The ball blue book is awesome. I have a huge fig tree in our yard & this is my first year to can. i started with the ball blue book. 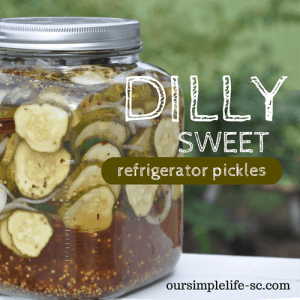 it is sold at walmart & other stores that carry ball canning supplies. every day or so i’m picking 2 batches of figs. so far, i’ve made jam, figs in lite syrup, & pickled figs. 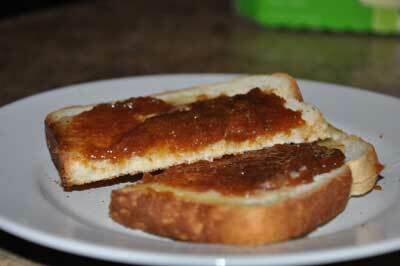 Today i’m doing drunken fig jam, i found on the internet. i can’t wait to try this recipe, maybe tomorrow. If you haven’t gotten the ball blue book, it’s worth getting. enjoy!. I have a friend who gives me figs since we are still trying to get on to grow. The first one got hit by the lawn mower and the next one just never took off. We are going to try one more time but until then I will rely on my friends tree to provide me my yearly figs. When you say 1/2 T. Do you mean 1/2 teaspoon or 1/2 tablespoon? Thanks for the clarification. Sorry it took so long to answer I was on vacation and am just getting back to my blog. Enjoyed reading your recipe regarding Figs. What can I use in place of wine? Want to try your fig recipe. What can I use instead of wine? Can you freeze the butter instead of canning? I just found you recipe and can’t wait to try it. We have a fairly new fig tree that is producing well this year. My daughter has one that over produces so I will be picking from her tree as well. I have made fig jam but was looking for a butter recipe, I like the one I purchased at Trader Joes so much I wanted to be able to make my own. Thanks for making this available. 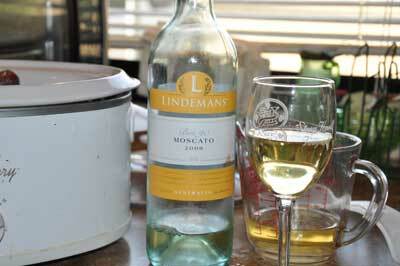 Have you tried making the recipe substituting apple or white grape juice for the wine? Wine or juice is fine with me but I was wondering. I have not tried it with the white grape juice but I am sure it would work just fine. I have tried to grow a fig tree for 3 years now and I just can’t get one going…but I am not giving up yet! I just found your blog and fig recipe… YUMMM!!! I was wondering if you ever add pectin to this recipe? Is it necessary? And how much butter do you add and what kind? Our neighbor gave us Adriatic figs and I can’t wait to get started. 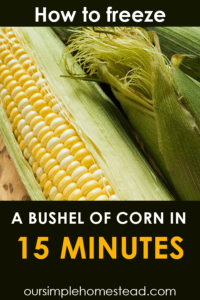 You would not need to add pectin to this since it cooks down and thicken all by itself. Just be sure to crack the lid so the steam escapes and it will cook down nice. Thanks Tracy! Oh and the butter… How much? Unsalted? 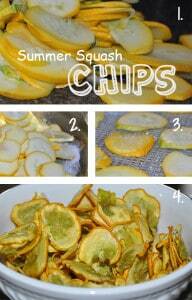 Tracy, the recipe is awesome! I made it over night and waking up to the smell of figs was glorious! I blogged about it. Please check it out when you have a chance. Thank you so much for sharing this. I will keep this forever! I am so glad you liked it! We loved it and it really tasted good in the middle of winter on a nice buttery biscuit. Thanks for sharing it on your blog! Unfortunately I do not own a crock pot. Is it possible to do this on the stove in a pot? Amy …yes you can cook it in your oven just as easy. If I was cooking it down in my oven I would set my oven temp to 300. I am not sure how long it is going to take to cook but I have cooked down apple butter many times in the oven and not in a crock pot. I would stir and check in every hour until you get it to the thickness you want. Thanks! I will try it and let you know. Thank you very much for your generosity in sharing this delightful recipe. My fig tree is getting ready to give me about 1 bushel of fresh fruit. Sure will enjoy making fig butter. This is awesome. I was searching for a fig butter recipe…to no avail. My tree is yielding a dozen fist-sized figs a day. I share it with my family,friends, neighbors and my sharing cooperative, The Cool Cucumber Community Cooperative…and I still have left-over figs. I also make dehydrate fig chips, which are a great way to travel with your figs…but, I’m excited to try this recipe. 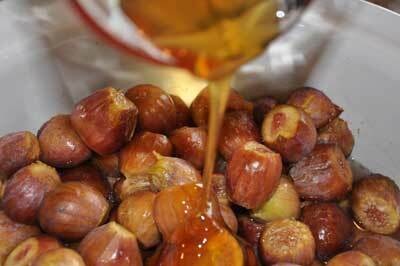 I might be doing all things figs this year for Christmas (fig butter, fig chips, vanilla fig caramels…yum). Sounds great! How much butter do you use? Thanks for sharing. I have not tried to double it…my crock pot would not hold that much but I can see no reason why it couldn’t be doubled. 6 cups of figs…chopped? My figs are big – I’m concerned about my measuring being off. Do you know about how much weight that was? Rebecca I do not know the weight but I am pretty sure if you keep it to the measured amount of 6 cups you will be good. Just came across this and really want to create it for a Christmas gift. As we are way out of fresh fig season, I have to ask – would this work with dried figs as well? If so, is there a change I’d need to make? If you know, I’d love to try. If not, I understand. 🙂 But I figured it never hurts to ask. Hi- I was wondering what type of figs you used for this recipe? My figs have a very thick and not too tasty skin. Would it work best if I peeled them for this recipe, or do you think the slow cooking process will break down the skin enough that it won’t be an issue? Thanks for your advice. I wish I knew exactly what the name of the figs were but a friend always gives them to me. I don’t remember the skins being thick so I bet it work just fine of you peeled them first. My neighbor is giving me bags and bags of figs from her tree. After making two huge batches of homemade fig newtons I was pondering what in the world to try next. Your fig butter is the perfect solution! How long will the jars keep? Like any other canned foods I like to use them up within a couple years. They will keep as long as you keep jam or jelly. Very timely! My husband’s brother is sending us a slip from his families heritage white fig tree. The tree that their grandparents brought over from Italy three generations ago. So I am starting to collect fig recipes. Won’t that be fun! Thank you! How exciting! What a great story to always have to tel when that fig tree grows and starts producing fruit for you! 1-Puree the figs in a food processor before cooking. I had trouble getting my figs to mash properly. 2–Ground cardamom, about 1/4 tsp, provided a better flavor enhancement than cinnamon. In addition to making great fig butter, the cooked fig mash is also a terrific substitute for bananas if making a fruit bread, Fig bread has been a big hit with my family! Many thanks for the recipe! Sandra thank you so much for sharing your modifications. I have never used green figs so this was very helpful! When I was picking up my figs I was thinking about how fabulous vanilla and honey would go with them. Just made this Fig Butter recipe and wanted to add my thoughts. I doubled the recipe as written except used organic apple juice instead of grape juice/wine since that’s what I had on hand. I also used frozen figs I put up from last season. These always result in more juice so decided to let cook down overnight. Followed your timing then turned slow cooker on warm and left till next day. This develops a nice rich, brown butter. Also used my stick blender to get the right consistency before jarring. Yielded 8 half pints and one full pint. Turned out perfect. Thanks for the recipe. Thank you so much for sharing how your fig butter turned out. 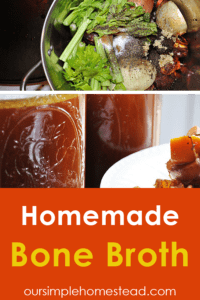 It is a great recipe and love your suggestions. How do you prep the figs for freezing? We’ve got a huge tree in the backyard that I’m getting about 3 lbs/day from. 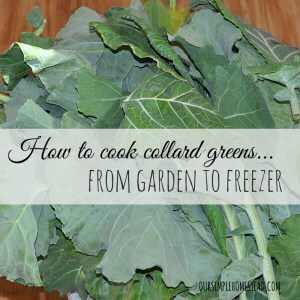 I would love to be able to freeze some for later. Fortunately the tree we have produces twice a year. Just love it! Julie I am so I am no help to you. I have never froze figs before. We don’t have fig trees, but I’m pretty sure after seeing this we will be looking for some. Thank you for the idea! Virginia I make this recipe every year and have even tried it with apples and it works great! You said you have tried this recipe with apples. I’m interested in making a fig-apple butter. What would you suggest for modifying your recipe to include apples? Can you tell me if I can used dried figs for this recipe? Cathy I wish I could say I have tried it with dried figs, but I have not. If you try them please let us know how this recipe works. Hello. Could this recipe be used just as a fig butter to store in the refrigerator and omit the canning steps? It sure can! I have done that before since we eat it up pretty quickly. I would still store it in air tight jars and I would eat it up quickly. It will mold on the top when its turned to the dark side so you will know when it’s to old to eat. I made a batch of this yesterday, so good on vanilla ice cream! Thanks for the great recipe. Hi! Can I substitute more water for the juice/wine? The juice or wine brings out the sweetness of the fruit…I wouldn’t substitute it with water. Thanks, Tracy! I ended up using apple juice because that was all my local grocery had. It turned out delicious! I doubled the recipe and used half local honey and half sugar. Thanks so much for sharing this recipe. This is my first year canning and it has been such a fun adventure!